These beautiful, stylish desktop calculators featured a hinged display that allows the user to tilt it to the best angle for their position. 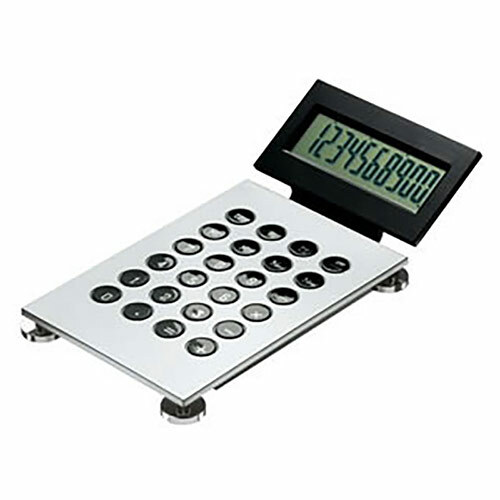 The body of the calculator has a fine quality silver plated finish, while the keys are made from durable acrylic. Battery powered, this calculator has a 10 digit display. Ideal as corporate gifts or awards items, these desktop calculators can be customised by engraving on the body. They are offered with free text and logo engraving along with bulk order discounts (see price matrix, above) and low, fixed price UK delivery.